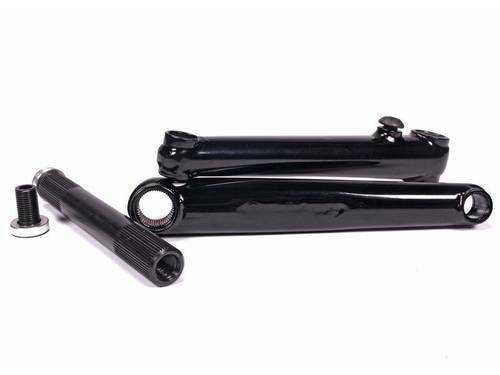 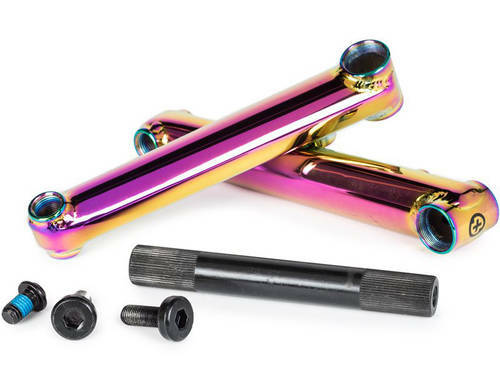 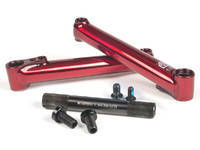 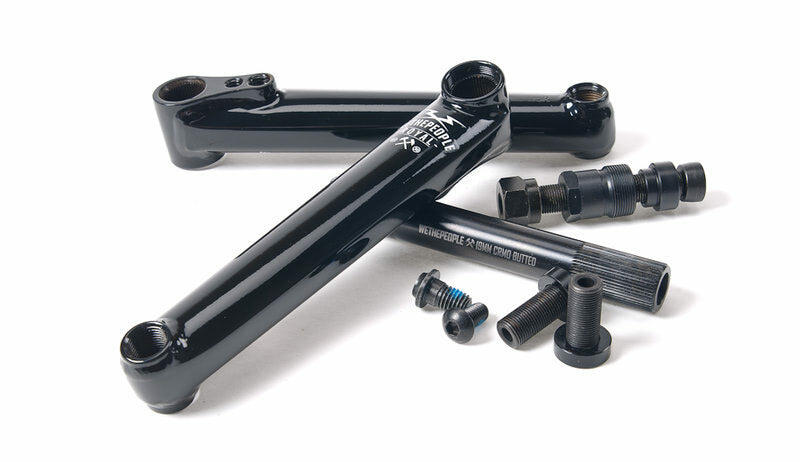 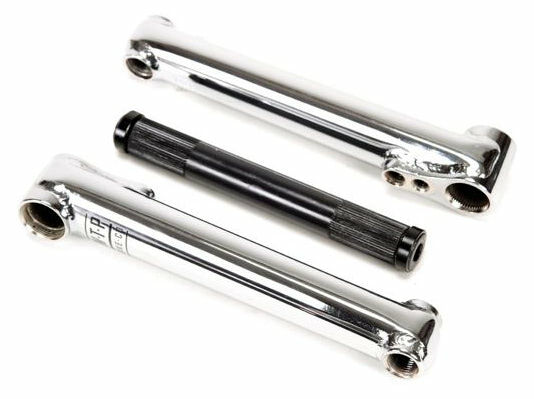 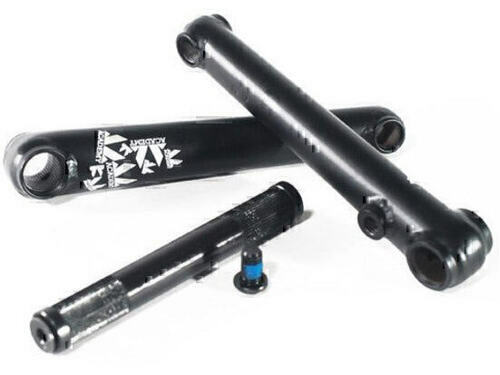 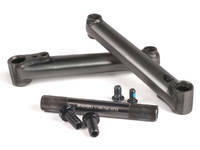 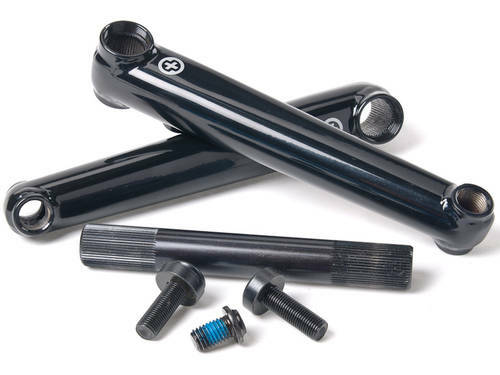 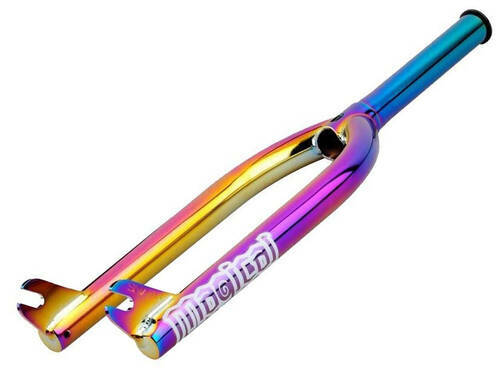 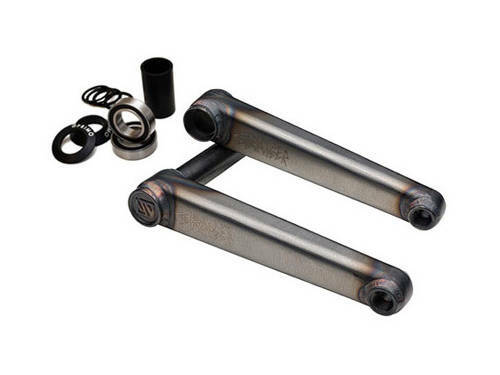 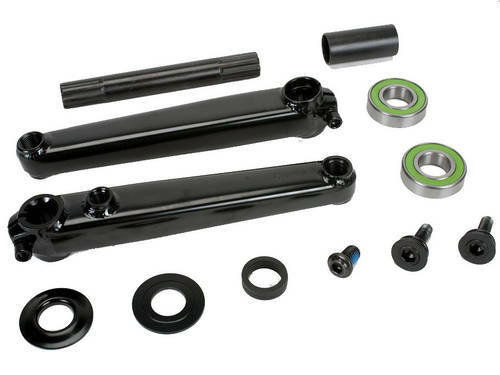 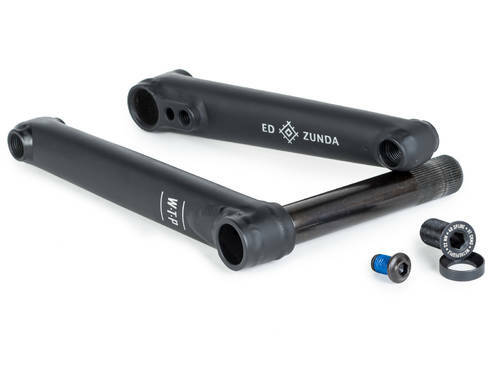 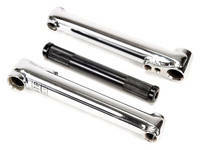 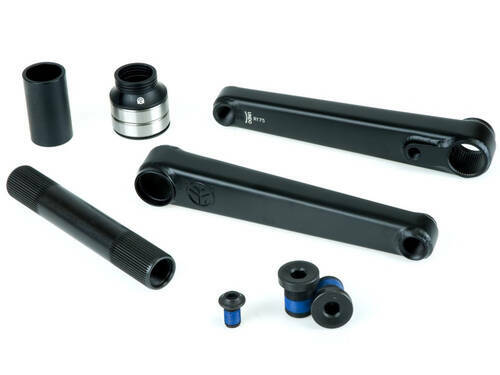 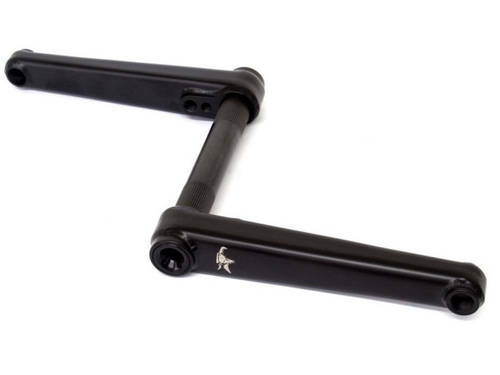 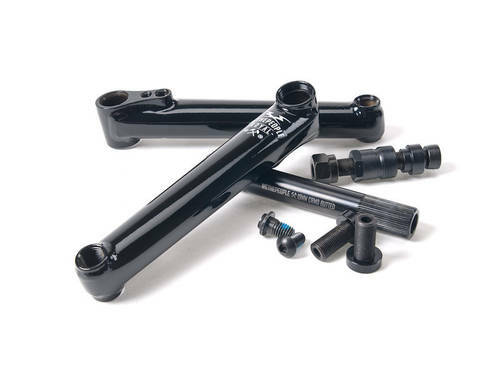 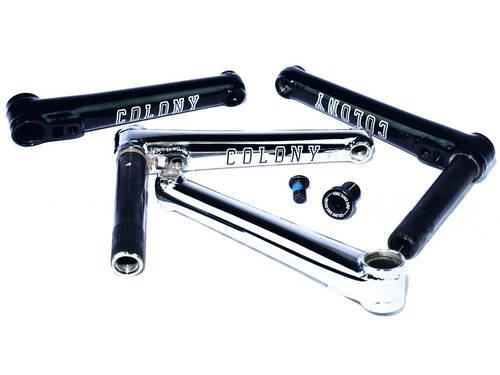 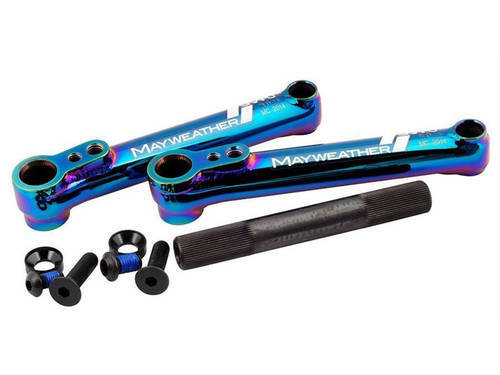 The WeThePeople Royal V3 cranks are simple, lightweight and strong cranks. 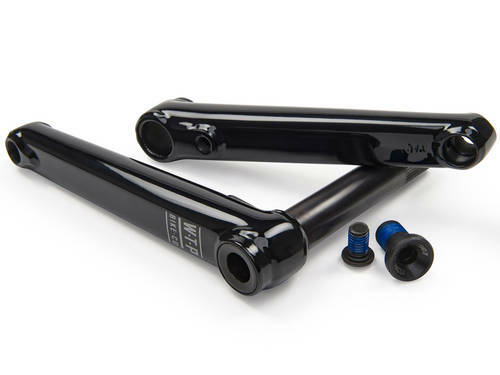 Proven over 3 generations the Royal V3 cranks feature full seamless japanese 4130 crmo tubing, liquid post heat-treated arms, 19 mm 4130 butted crmo spindle. 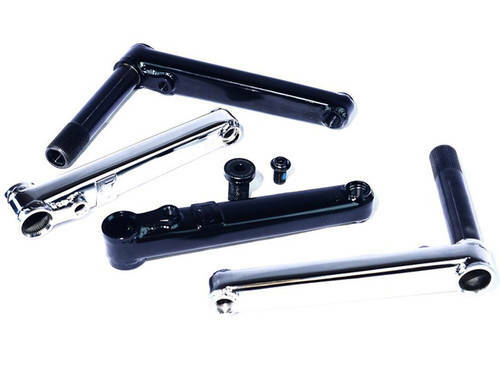 Comes with fitting and removal tools.